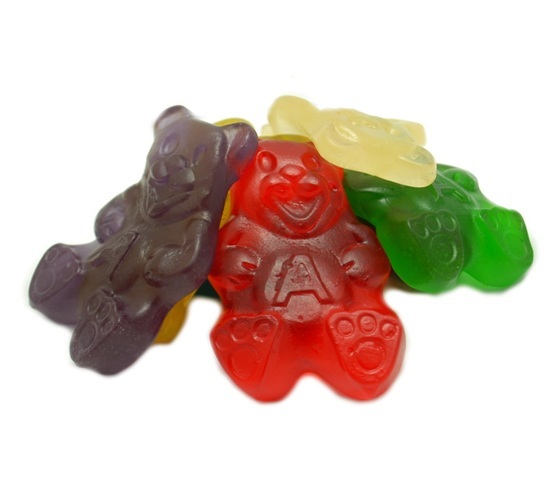 Home > Dietary Choices > Gluten Free > Albanese Assorted 6 Flavor Gummie Papa Bears 3"
Albanese Assorted 6 Flavor Gummie Papa Bears 3"
Introducing the daddy of all Gummi Bears! Papa Gummi Bears measure in at almost 3" tall making them the biggest, yummiest Gummi Bears around. Papa Gummi Bears are taller but thinner than traditional Gummi Bears making them an extra special treat perfect for decorating deserts. Flavors include: Blue Raspberry, Green Apple, Grape, Cherry, Mango & Pineapple.